International certifications: To translate or not to translate? Scoring techniques, test delivery options, item generation and the intricacies of translating tests into different languages were among the many subjects covered during the Association of Test Publishers’ Innovations in Testing Conference last month. Were there any particular themes that emerged about translation and localization? More and more organizations in North America are looking at taking their certifications international. One of the main themes is whether these certifications and any related training and marketing materials need to be translated or not. Some organizations have decided to leave their materials in English. My response to that would be: Are you testing people’s knowledge, skills and abilities or are you testing their knowledge of the English language? What are the key elements that make for a high-quality translation? Preparation is absolutely key in ensuring a successful outcome. When creating exams, tests and assessments in the first place, it is important to write these with translation in mind. You should avoid jargon, complicated sentences, overcrowding of the text on a page and many other things. If the exams, tests and assessments have not been created with translation in mind, then this can cause problems during a translation project. What do you look for in validating a translation? It is very important to follow specific process steps to ensure the validation of a translation. The actual steps to be taken will vary from client to client, depending on their own capabilities, such as the availability of native-speaker Subject Matter Experts. When translating, localizing and adapting exams, tests and assessments, the steps to be taken will require much more work than for the translation of training or marketing materials, which just require translation into the language and proof-reading. Going forward, what do you see as the key issues organization will face as they continue to expand their international and intercultural testing programs? There are many issues that need to be considered by organizations that are looking to expand internationally. Should the exams, tests and assessments be left in English or translated? What about related materials such as training or marketing materials? Should the certification remain exactly as it is in the original country, or should organizations attempt to get the certification licensed in the target market? Is the exam, test or other assessment culturally valid in the target country? Can it be localized and adapted or is it not suitable at all for people in other countries? 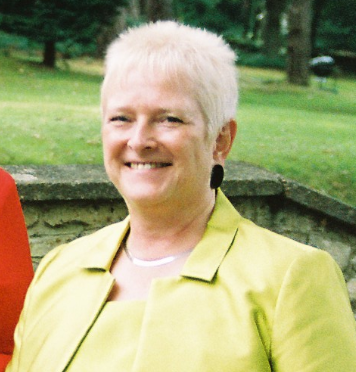 For more on this subject see the Q&A at the end of my previous post about Sue’s February 16 Questionmark web seminar on assessment translation and localization. “Unprecedented interconnection.” Those are the words that Sue Orchard of Comms Multilingual, a professional translation services firm, uses to describe a world of Increasing global alliances and supply chains, in which assessments such as test, exams and certifications are administered around the world. Last week Sue presented an excellent Questionmark web seminar about assessments translation, localization and adaptation (TLA), during which she explained the importance of carefully planning and preparing for TLA projects. She cautioned her audience about some of the pitfalls of translation – for instance the fact that a short sentence in one language can be a very long one in another – and shared some beat practice tips, too. She also pointed out the need to consider cultural differences as well differences in language, and she lightened up the proceedings with some amusing examples of translations gone awry. We’ve put slides from this presentation, Assessment Translation, Localization and Adaptation: Expanding the Reach of your Testing Program, on our SlideShare page and embedded them below, and you will find a brief Q&A interview with Sue here. 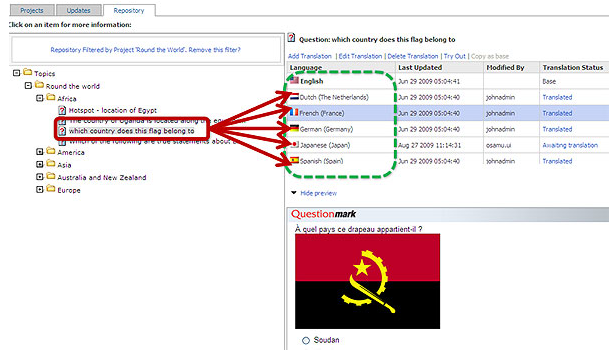 As we have been making translations for the Questionmark Live interface, one language high on our list has been Arabic. However, we did not want to go half way and release an interface where, yes, the language was translated but remained in a left-to-right format. We wanted to release the entire package: an Arabic translation of Questionmark Live in a right-to-left interface — and we are pleased to have achieved that! Below are two screen shots of Questionmark Live for Arabic users. 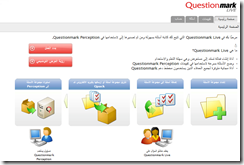 Click on each picture to see a full sized view of the Questionmark Live interface in Arabic. Click here to use your Questionmark Live account, see a demo or try it out. I’ve described in a previous post how Questionmark makes it easy for authors and administrators to create assessments in multiple languages, so that participants can choose the language of the assessments. I’d like to share today how Questionmark allows those same authors and administrators to work in their language of choice, rather than having to see screens in English. International use and translatability have always been important to Questionmark. We’ve been translating our software for 20 years, with Questionmark for DOS having been translated into several European languages in 1991. We used to make separate versions of the software for each language, but having separate versions makes it harder to keep language versions up to date, so now we make our software multilingual. Our most frequently used software for authors and administrators today is found in Questionmark Live and Enterprise Manager, and both of these are now available in multiple languages. 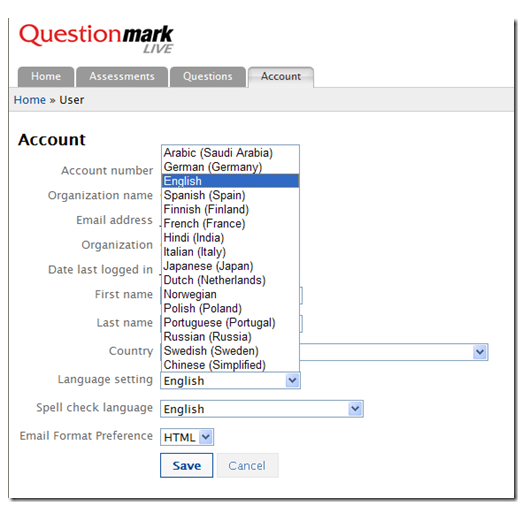 Questionmark Live, our authoring software for subject matter experts running as a service, has always been available to use in multiple languages. We’ve just added Arabic support, and currently authors can see the software in a selection of 16 languages: Arabic, Chinese, Dutch, English, Finnish, French, German, Hindi, Italian, Japanese, Norwegian, Polish, Portuguese, Russian, Spanish or Swedish. 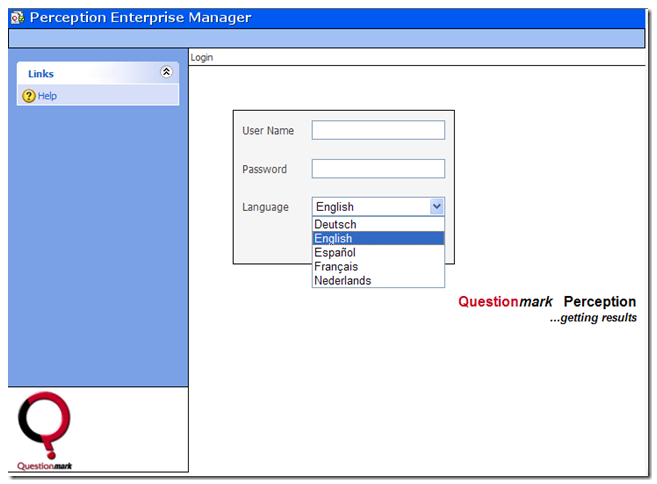 Enterprise Manager, our software for scheduling, administration and reporting, is also available in multiple languages. German and Dutch have been released, and French and Spanish are in final review and should be added later in the summer. The administrator chooses a language on login, and then all screens are presented in that language. Watch this very brief video clip to see how easy it is to display your Questionmark Live workspace in a different language. Keep an eye out for exciting new features added to Questionmark Live regularly.